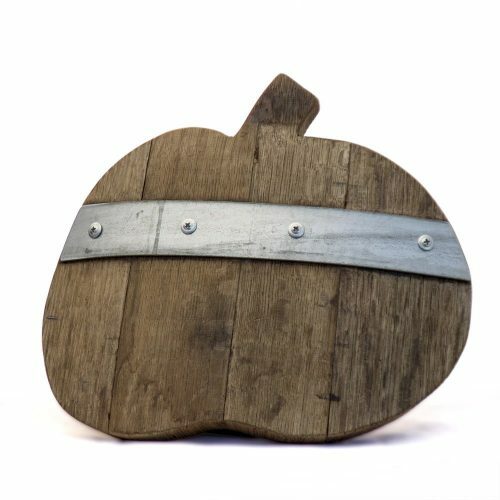 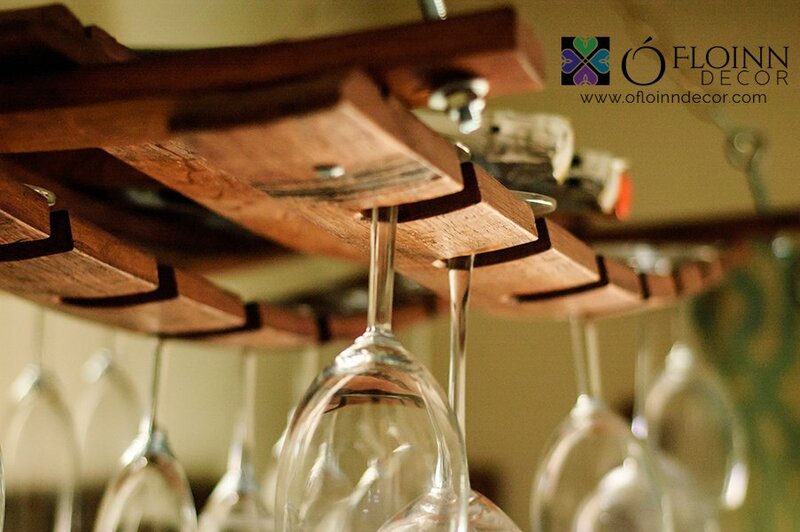 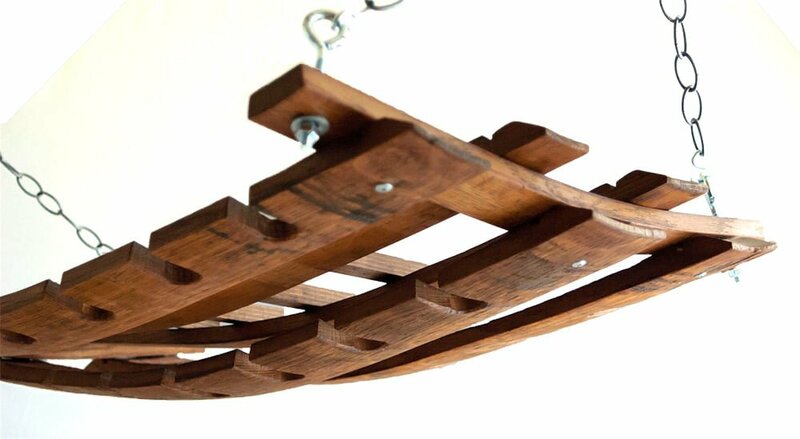 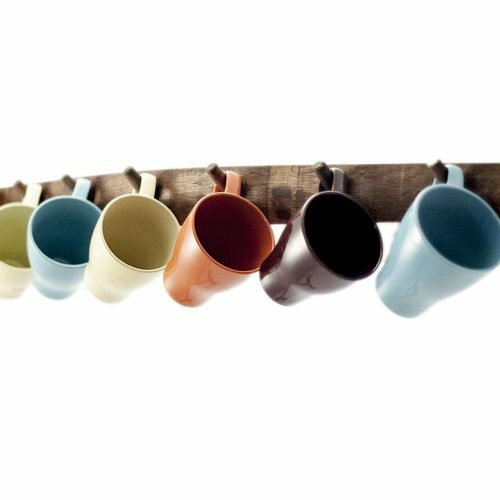 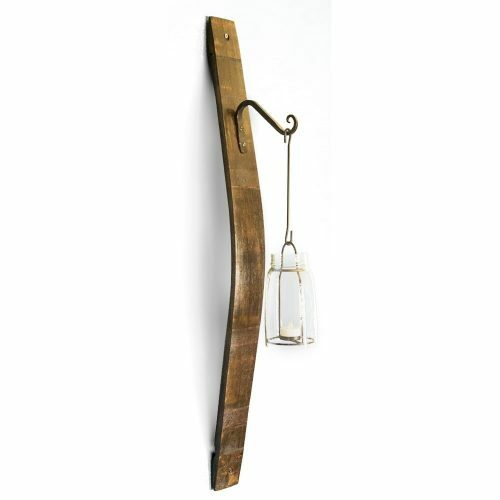 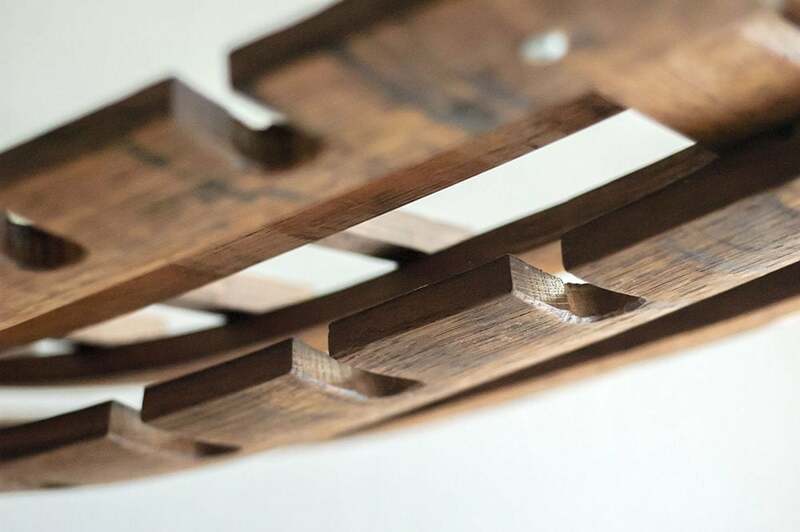 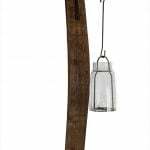 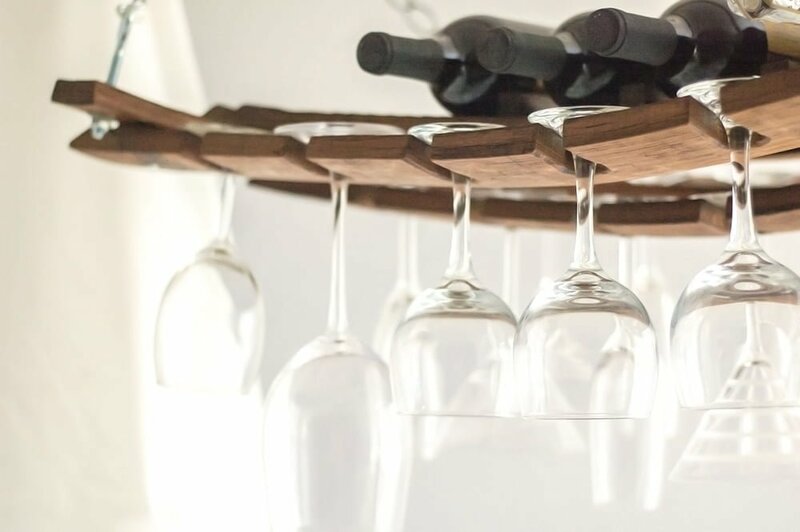 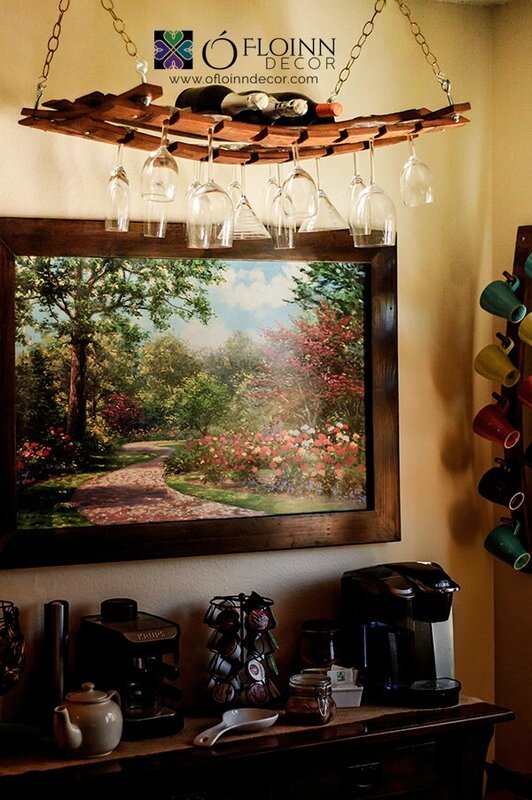 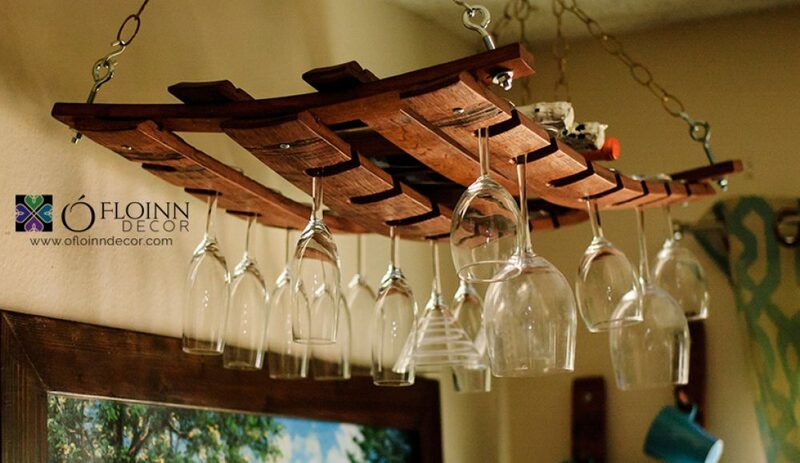 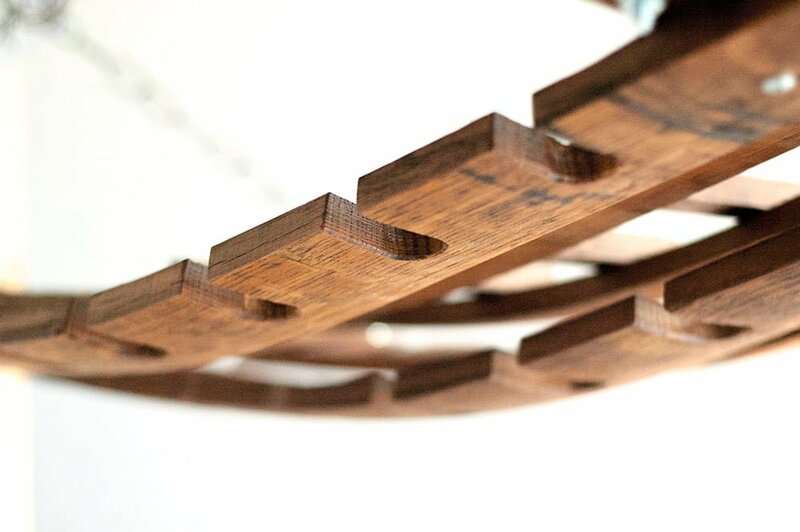 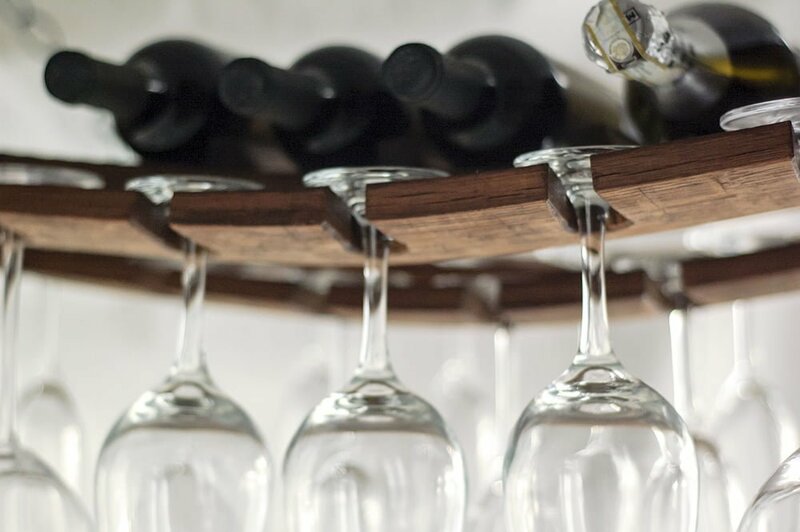 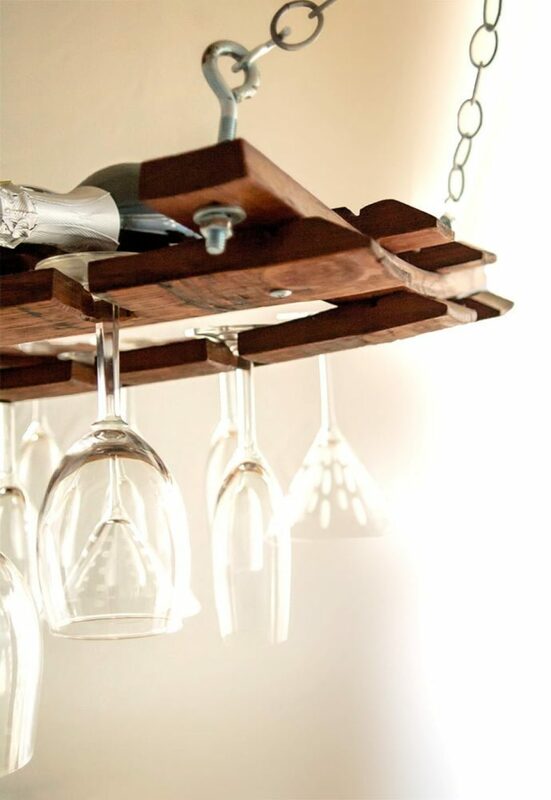 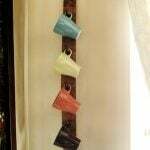 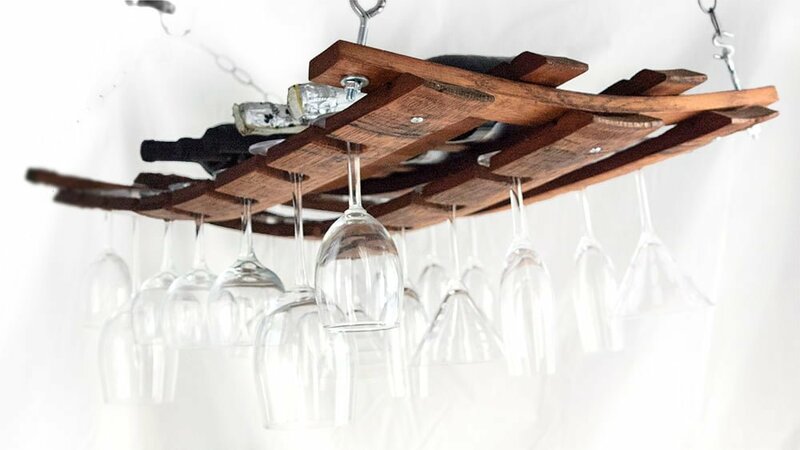 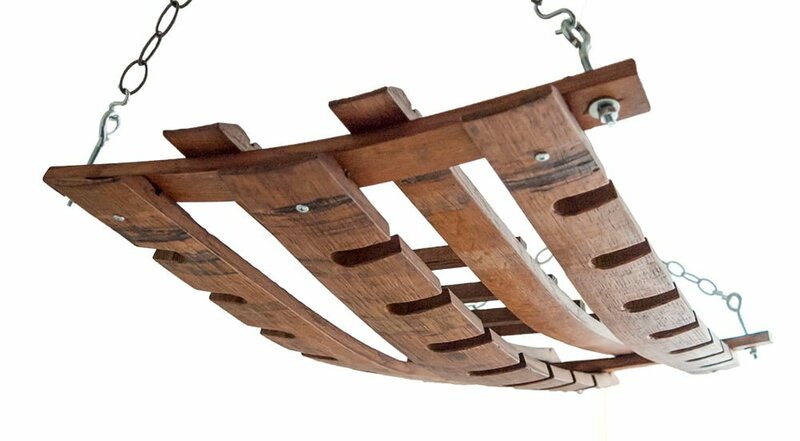 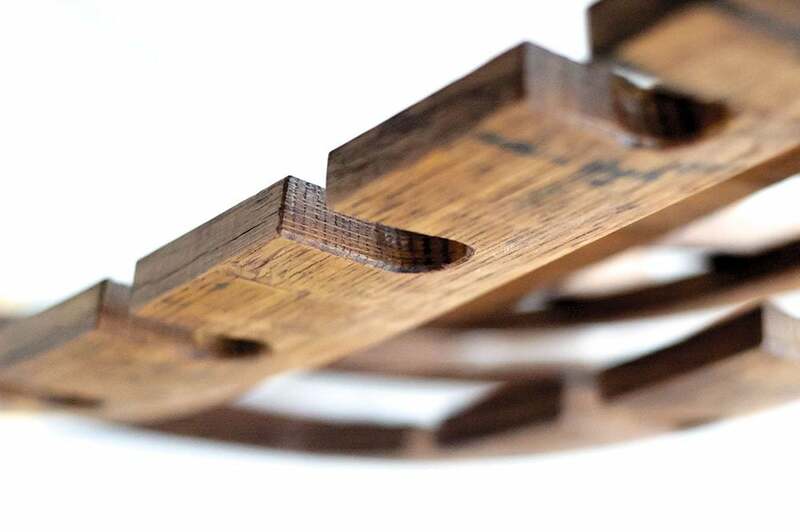 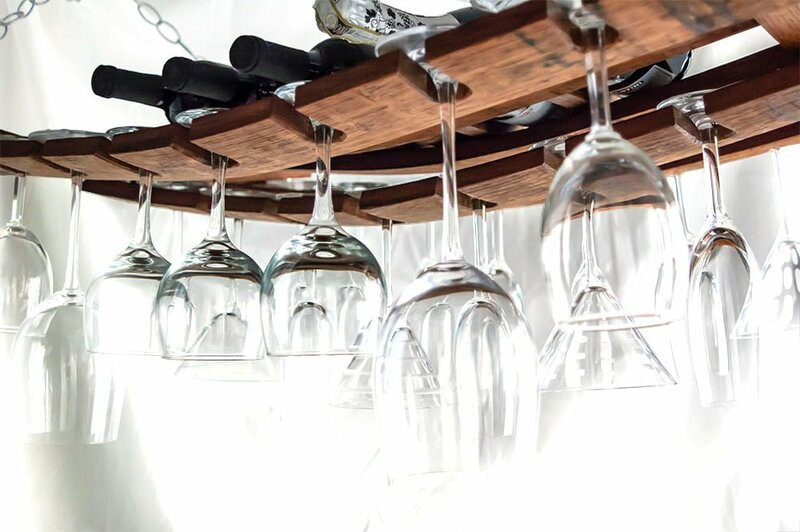 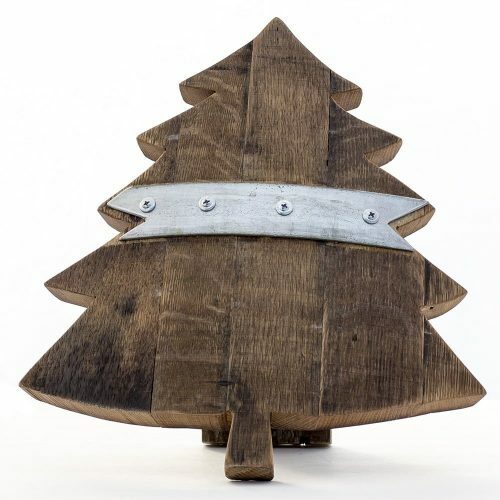 Made from recycled oak wine barrel staves, this hanging wine rack is a favorite among wine enthusiasts and is sturdy enough to hold up to 5 bottles of wine and 21 wine glasses. 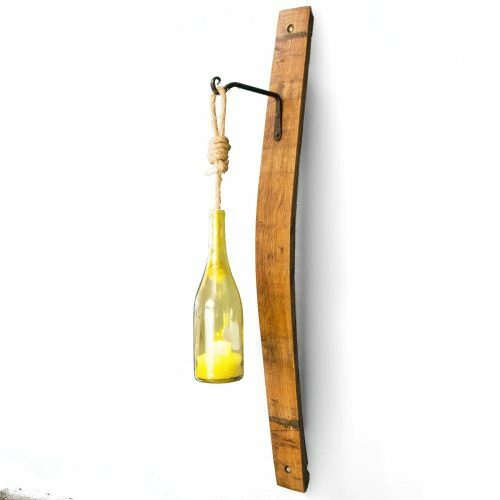 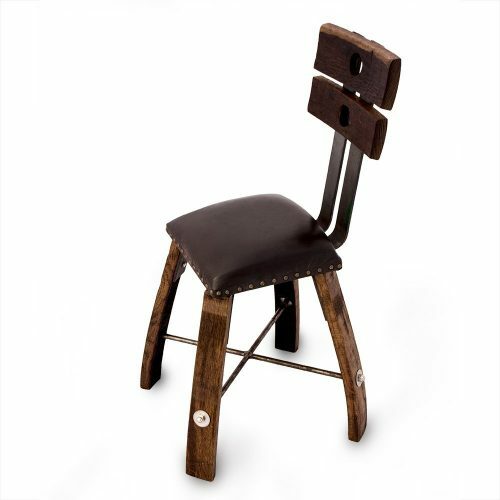 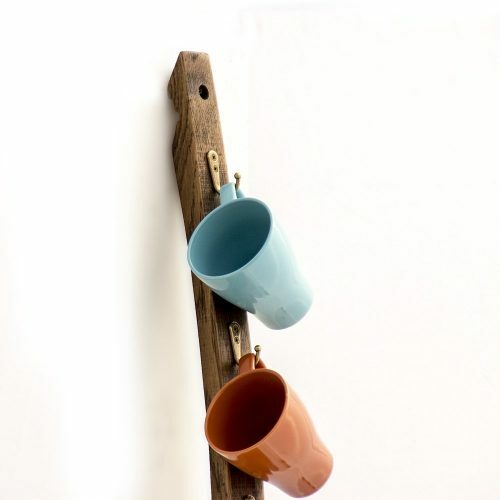 They’re ideal for adding a warm pub, vino-culture, or nautical touch to any room. 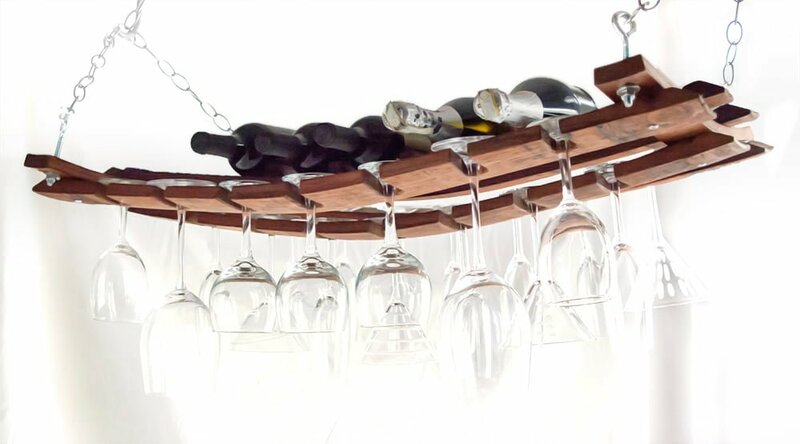 This rack is also a unique conversational piece that will make your next gathering an impressive one. 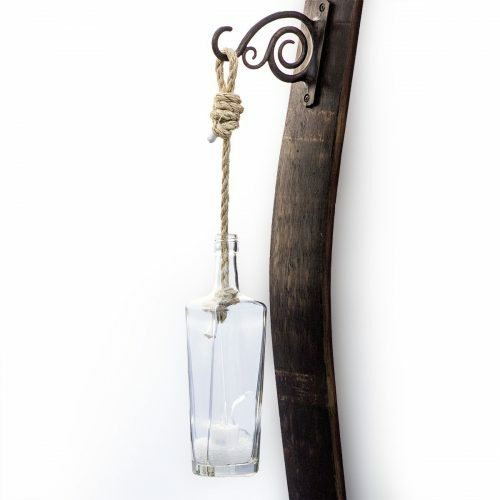 10 foot hanging chain included.